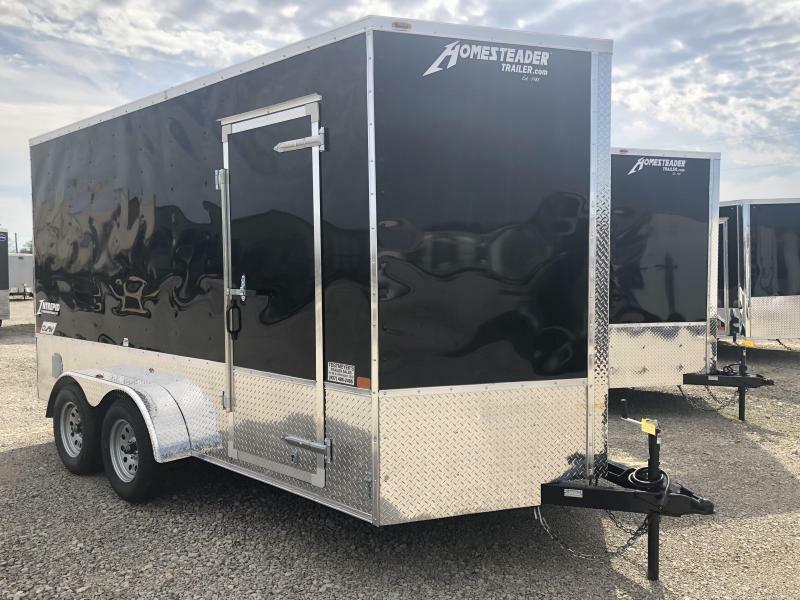 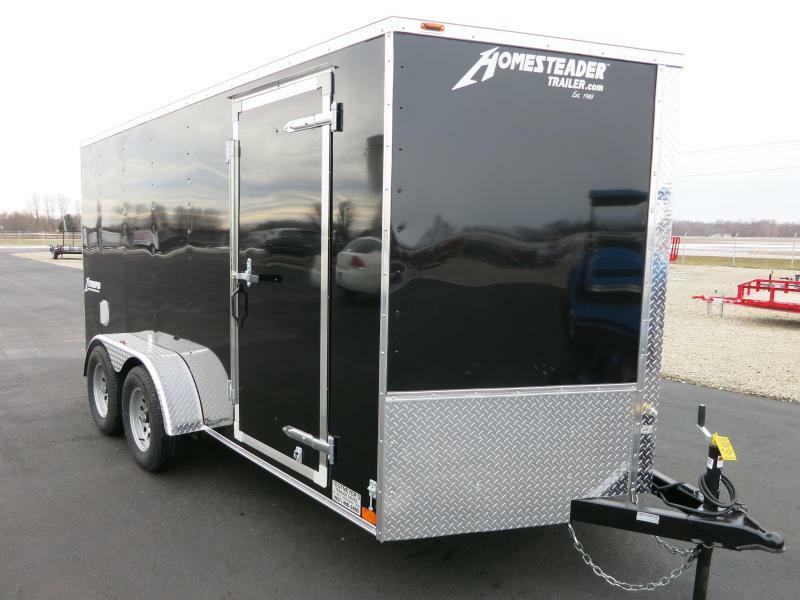 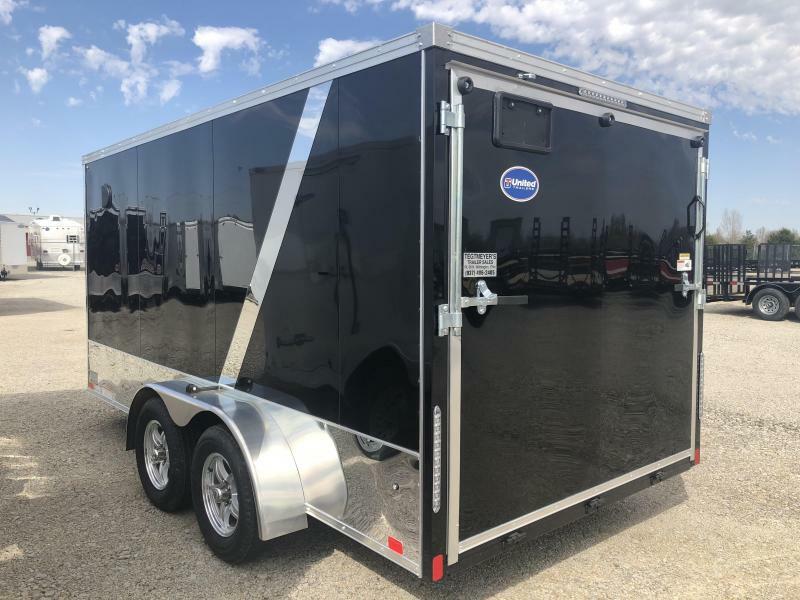 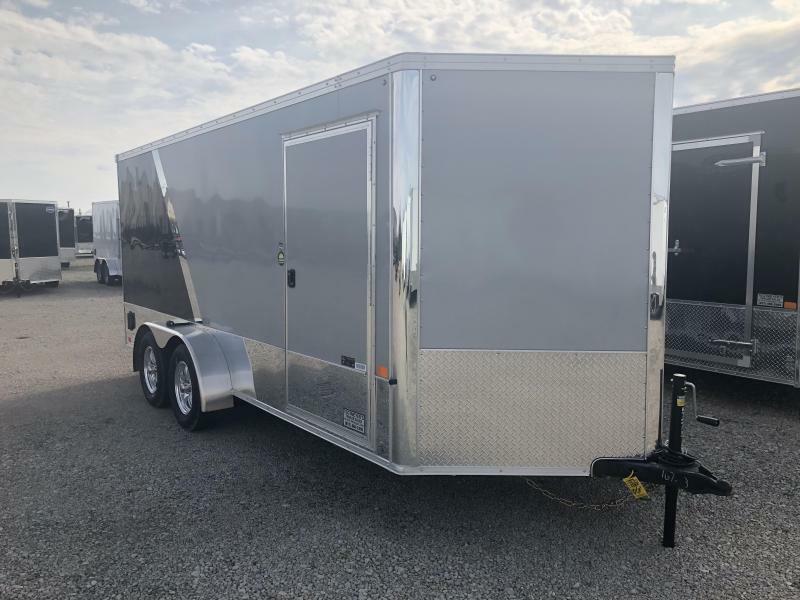 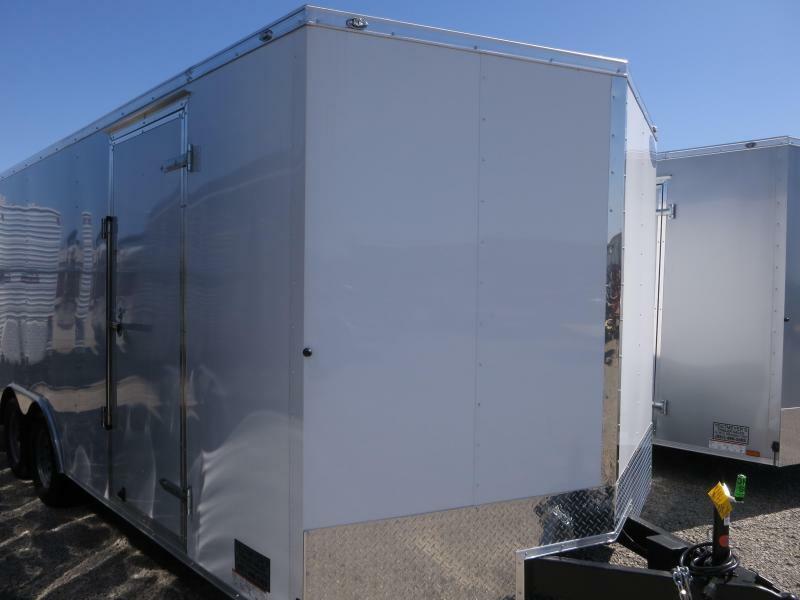 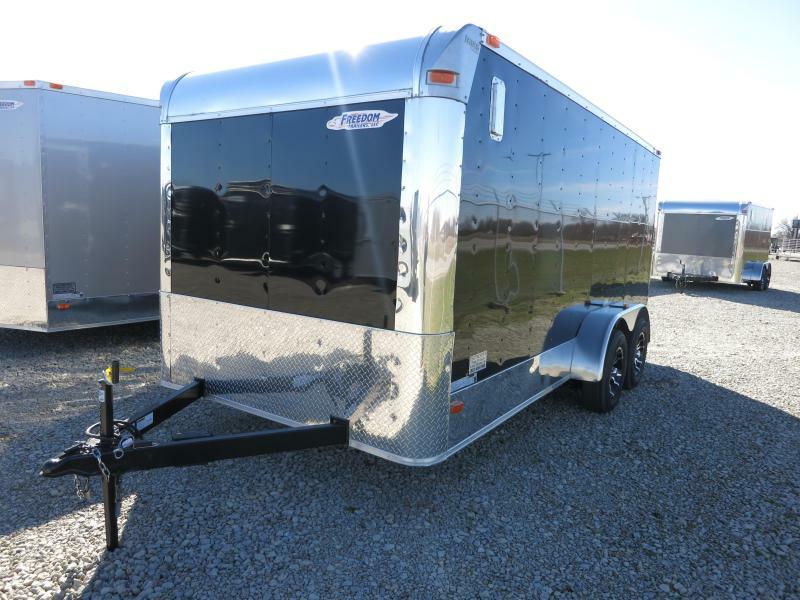 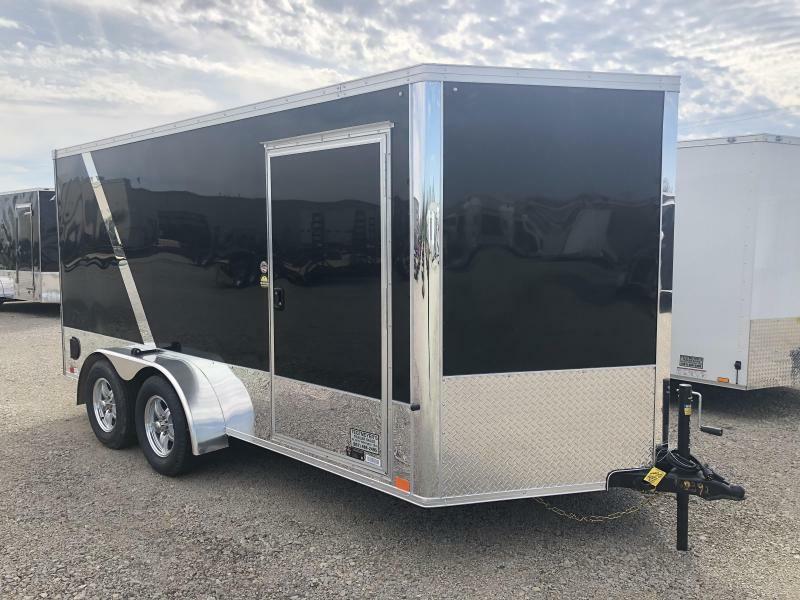 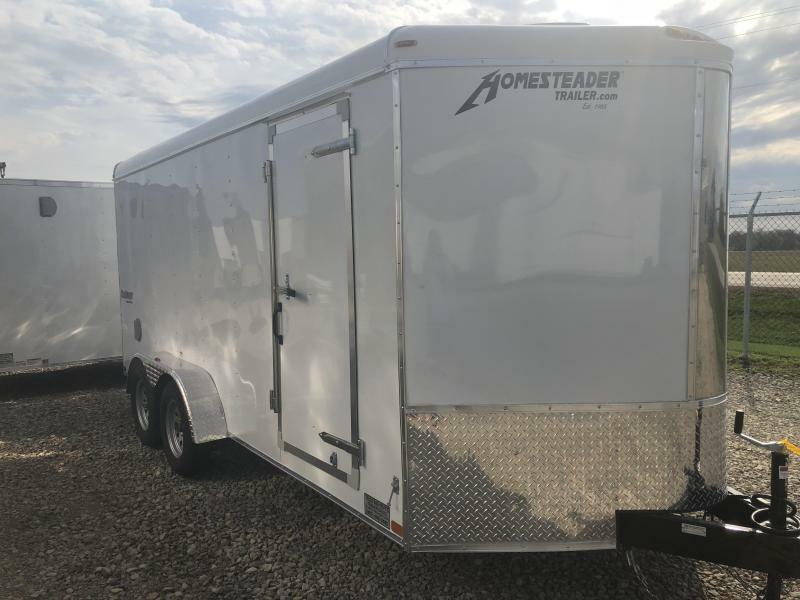 United 7x14 Tandem Axle Enclosed Trailer is a XLMTV Motorcycle trailer and is black and silver in color. 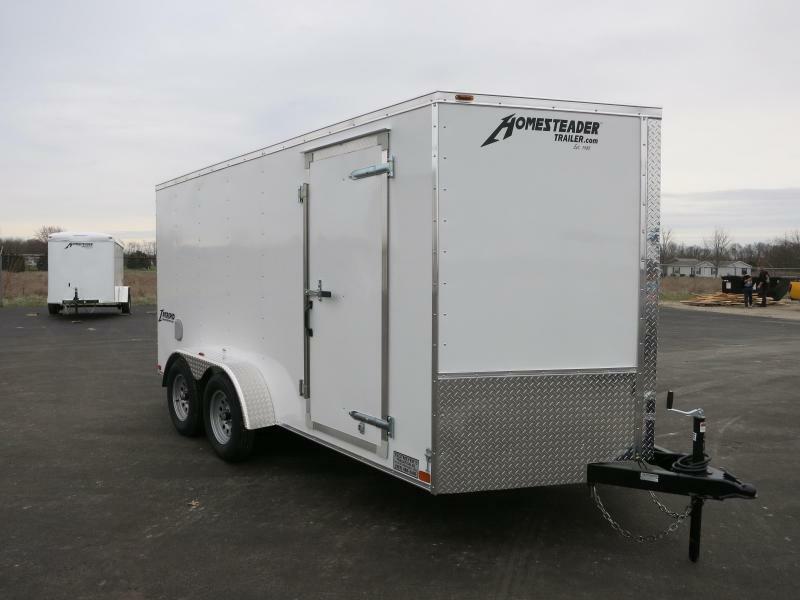 The trailer is loaded with accessories and set up ready to haul your motorcycle. 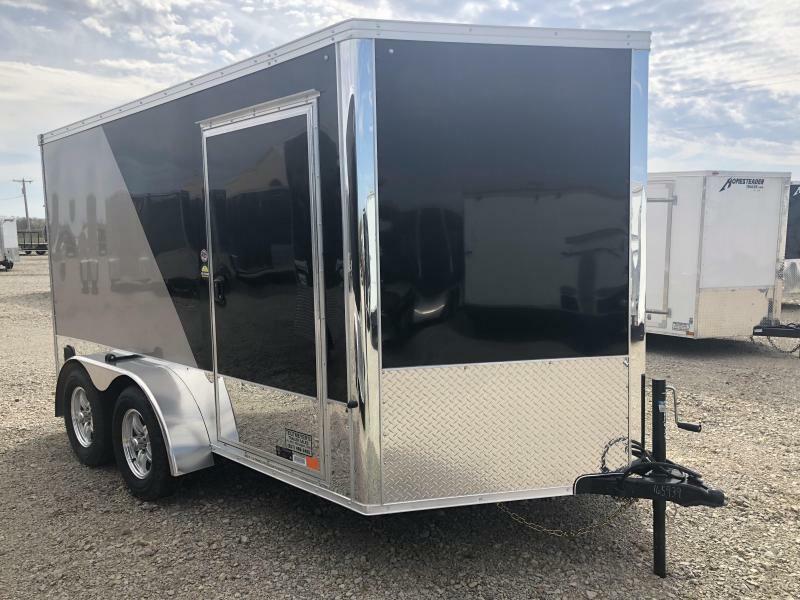 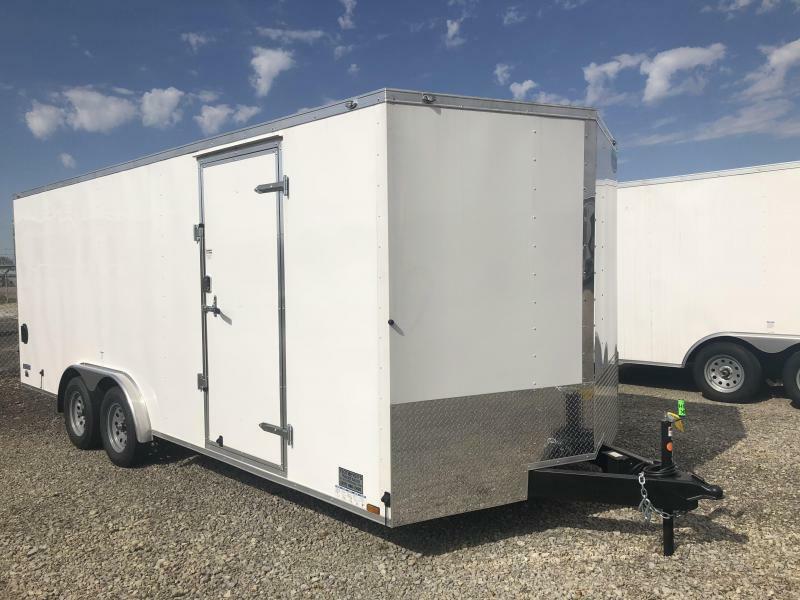 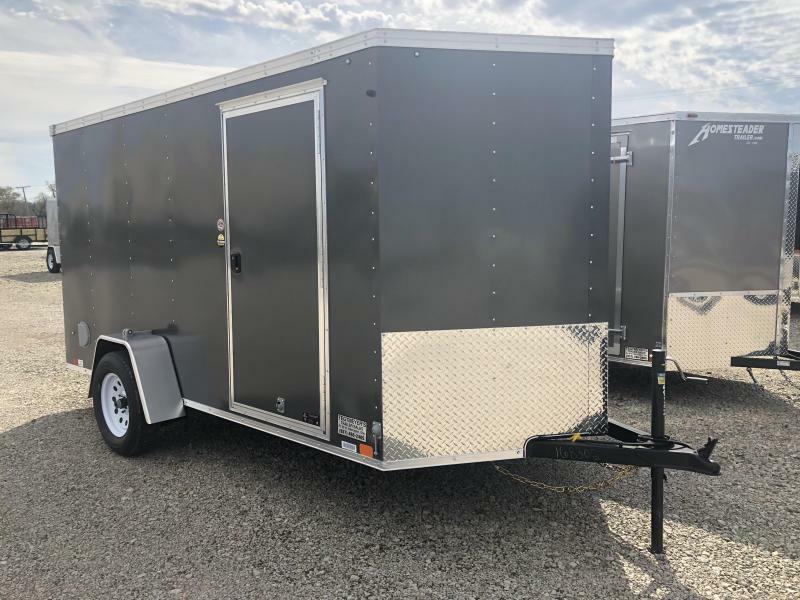 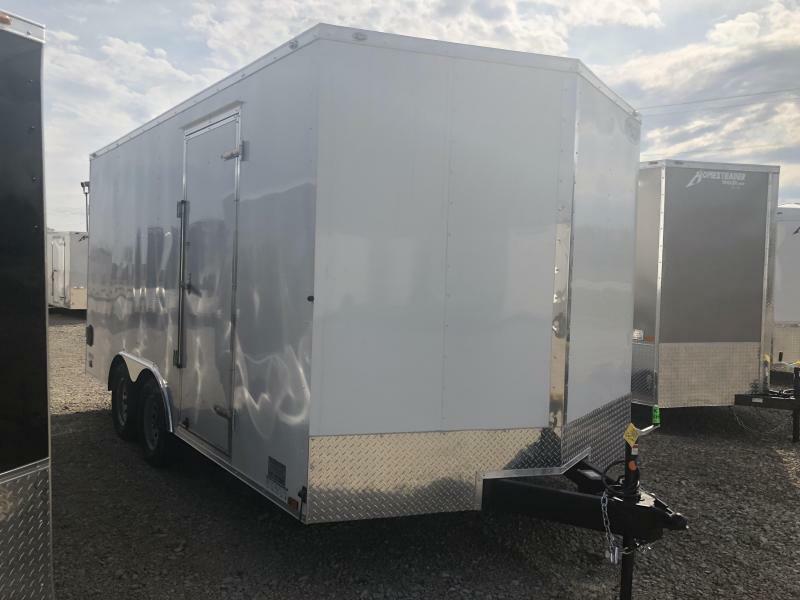 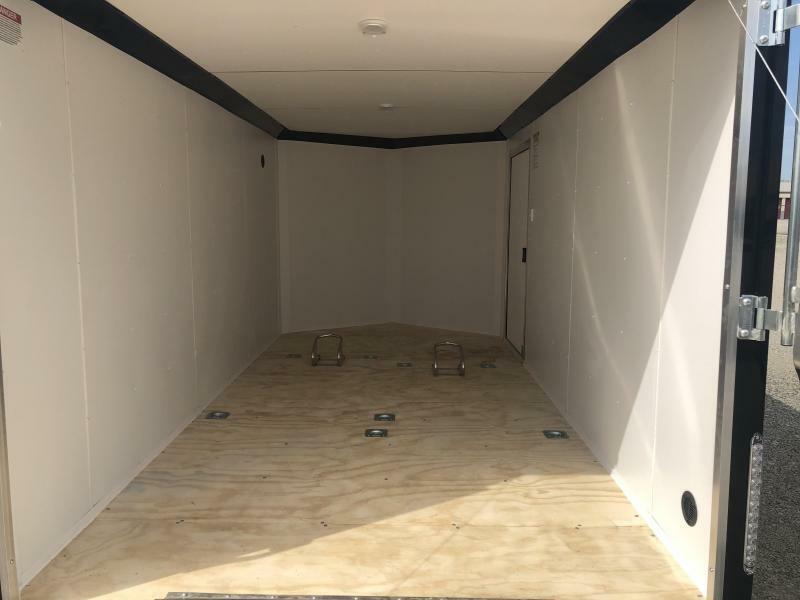 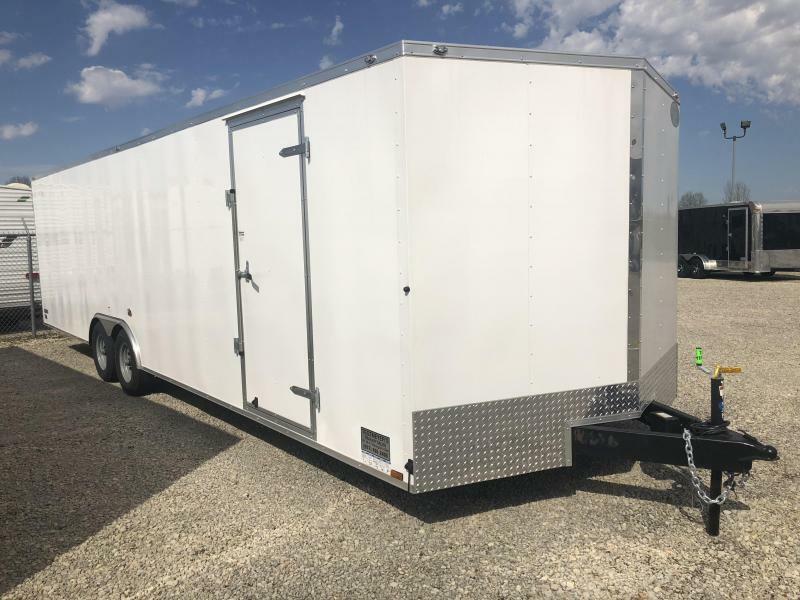 This motorcycle trailer has RV side door with flushlock, Aluminum wheels, d rings, wheel chocks, white interior walls, white ceiling, polished corners, screwless smooth exterior sides, 6' interior height, rear ramp door and 28" V-nose.